Hi Everyone!!! Hope you all had a wonderful and blessed weekend! I had a great weekend!! I went to a church that I love on Saturday. The message brought before us was wonderful and it had many points that I took to heart. I really felt great when I left. Then Sunday I went to church at NSBC - awesome message brought forth to us as a congregation. I wanted to extend this invitation to all - this will be an awesome production!! It's a must see! I can hardly wait for it to be here. 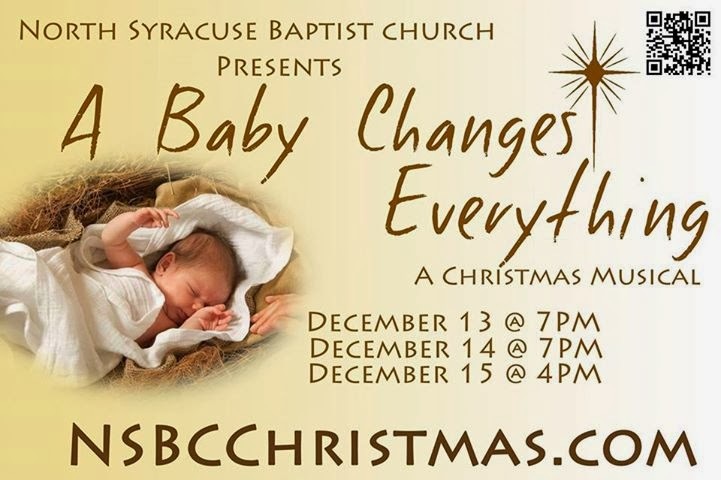 I love these productions that my church puts on for our community. This year I will be in the pageant. I am so enjoying the practices and learning the music. There is such a great message being brought forth through the production. Hope everyone has a great day! I hope to get another post up today! I do have a project that I need to post about, but first I must get the pictures completed first.